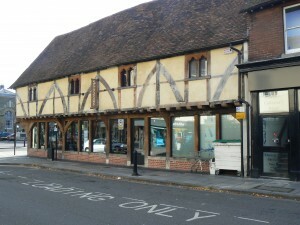 Unlike many cities, Salisbury can trace its origin to a specific year – 1220. 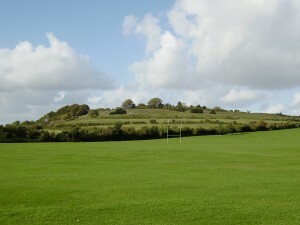 Before that its site was home to no more than a couple of scattered hamlets, and the area’s main focus was two miles north of the current centre, at Old Sarum. 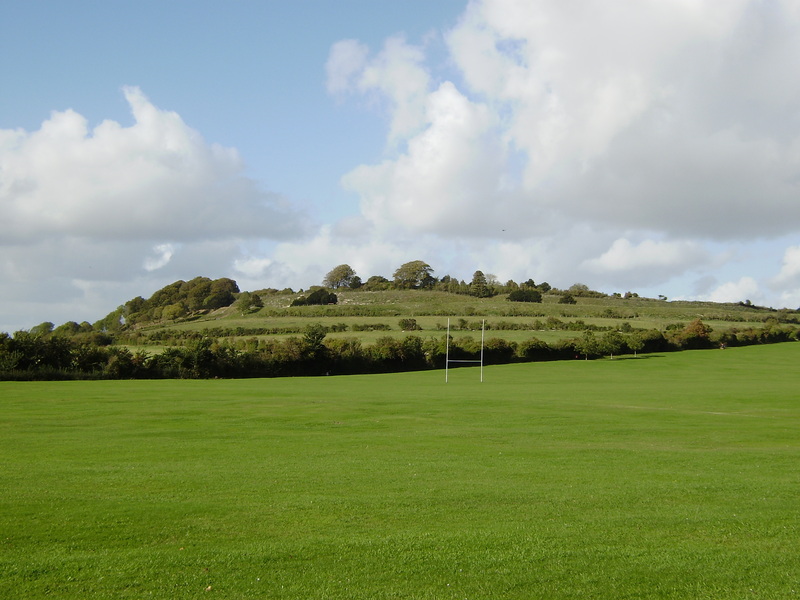 This started as an Iron Age hill fort, became the Roman town of Sorviodunum (though the exact siting of this is unclear), and in Anglo-Saxon times was known as Searoburh. By the time of the Domesday book its name had become Sarisberie, and soon after that the modern title took over. The original cathedral was at Old Sarum, but 1220 was the year in which work on the present cathedral started down in the valley, and the city grew up along with it. With much more room to expand than was available at Old Sarum, and with better access to water, growth was rapid, and by the second half of the C14th Salisbury was probably the seventh largest city in the country, a position it maintained into the C16th. The actual population was probably around 7000. While the Cathedral Close saw stone used for many of its buildings, most of those in the rest of the city would have been timber-framed. Production of cloth was the chief economic activity, though many other trades also flourished. As a consciously planned city, rather than one growing naturally from ancient beginnings, Salisbury’s central parts have a very distinct layout, based on a grid pattern. Each block of buildings bounded by four streets is known as a Chequer, and there are twenty of these with historic names, many derived from inns. The plan also included provision of water channels in most of the streets, fed from the river Avon. Originally intended to provide drinking water, these soon became polluted by waste, and they were finally covered over in the C19th. 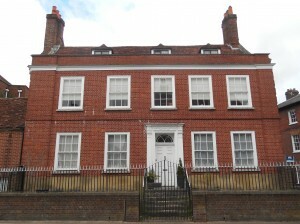 Salisbury Museum’s collection started from artefacts unearthed in the old channels when this operation was carried out. Once the medieval period was over, Salisbury began to slip back in relation to other towns and cities, with its population hardly growing at all before the start of the C19th. Cloth production became much less important, and the city functioned more as a market centre. With the arrival of the C18th brick became an important material for its buildings, though quite often old timber houses were brought up to date by being clad to look like brickwork, using what are known as mathematical tiles. Only after the mid C19th did the population really start to rise, reaching some 17,000 by 1900. What exactly the figure is in 2015 rather depends on how the city area is defined, but it probably stands at around 44,000. These stages of growth are easy to detect in the visible city. The historic core maintains its grid patterns, though by no means all its buildings are old, apart from in the separate Cathedral Close. Round that core are the reasonably tight Victorian and Edwardian suburbs, their buildings often still well designed and with high quality detailing (as shown in the Civic Society’s book ‘Salisbury in Detail‘). Outside that again come the less distinctive areas of C20th expansion, particularly to the north and west, and then on the outskirts are the volume housebuilder estates of the C21st, virtually indistinguishable from those in other comparable cities. Salisbury’s expansion was aided by the arrival of the railways in the 1840s, resulting eventually in good links to London and Exeter on one line, and Bristol and Southampton on another. The earlier national enthusiasm for canals also had its effect, with the Southampton and Salisbury Canal scheme of the late 1790s. This however was never completed, and only a few traces of it now remain. No motorway has ever come close to the city, and a bypass projected in the 1990s was aborted by a change of government in London. For most of its history Salisbury had its own administration, either just for the city or for a wider area of south Wiltshire. In 2009 Wiltshire Council was founded as a unitary authority, and Salisbury was reduced to having no more than a parish council, a move that caused considerable unhappiness, still sometimes detectible. Throughout all the years of growth and change, Salisbury Cathedral has remained the city’s most distinctive feature, its C14th tower and spire one of the prime achievements of English architecture. It is the city’s great good fortune that as well as all the buildings within the Cathedral Close, in itself the finest in the country, Salisbury beyond the Close is equally worth exploring. Threaded by three different rivers, and never bombed or unduly compromised by the mid C20th craze for town planning in the name of ‘progress’, the city remains as a very worthwhile destination to visit, and a very civilised place in which to live.